What's the Relationship between Circadian Clocks and Low Back Pain? What’s the Relationship between Circadian Clocks and Low Back Pain? Research conducted by the National Institutes of Health points out that circadian rhythms are those behavioral, mental, and physical changes that somewhat follow a 24-hour cycle and respond largely to environmental darkness and light. This trait is common among most living things including animals, plants, and microbes. But, what is the relationship between the circadian rhythm and low back pain? To understand the relationship better, we look at recent studies that talk of the intervertebral disk (IVD); shock-absorbers found between our vertebrae and the spine. These studies note that the IVD has intrinsic circadian clocks, which are regulated by cytokines and age, as well as linked to degeneration. Well, from here, we can conclude that there is a 24-hour rhythm in each of the disk in our spine. The rhythm produces various changes in an organized way throughout the day. Ideally, researchers have conducted enough research to note that our bodies have at least 600 genes with the 24-hour rhythm. They are 24-hour patterns of expression that represent multiple essential pathways linked with disk pathology. Scientists carried out an experiment on mice and observed that disk degeneration may occur if we disrupt the normal expression of the aforesaid 600 genes. And they went ahead to conclude that these disruptions to the 24-hour rhythm may make us vulnerable to degenerative diseases as well as low back pain. Now that we know the relationship between circadian rhythms and low back pain, the next step is to try to find a solution that is applicable to everyone from New Port Richey to the rest of the world. When you look at these findings, you realize that they all try to point at our sleep habits. And with good sleep habits, you’ll undoubtedly have improved overall health and quality of life as well as longevity. Circadian clocks are not just associated with many different sleep disorders but also they are believed to influence hormone release in our body, sleep-wake cycles, and body temperature. Researchers state that abnormal rhythms can lead to obesity, bipolar disorder, depression, diabetes, and seasonal affective disorder (SAD), among other complications. We also know what it feels like to fly from California to NYC and the alarm in New York rings at 7 in the morning yet your biological system insists it’s 4 in the morning. In general, we cannot overstate how important sleep is to us. An alteration in sleep duration, which is either too much or too little sleep, shortens longevity. And we understand that quality of life is negatively influenced in swing-shift workers. Thanks to this editorial; we now know that our disks have cells with circadian clocks. And these circadian rhythms should not be disrupted, as any disruption could lead to disk degeneration, and therefore, low back pain. We also note that we should have good sleep habits and try as much as we can to avoid shortening our longevity. 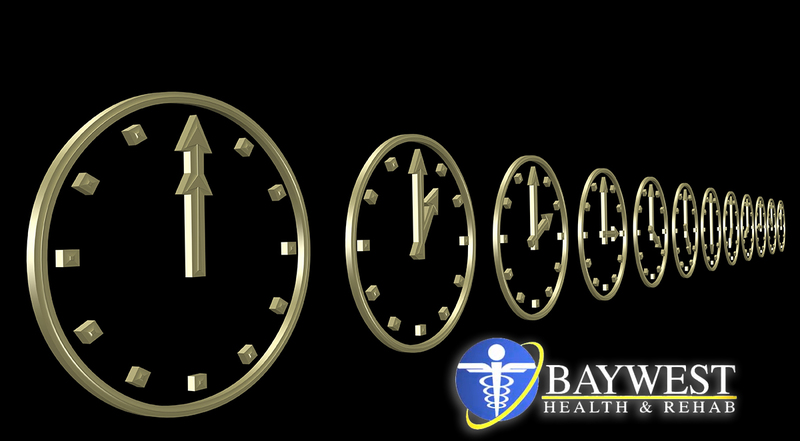 If you are in New Port Richey or anywhere in the world, you can consult a chiropractor to know more about circadian rhythms and low back pain. This will make you less vulnerable to the aforementioned degenerative diseases as well as low back pain, which tends to affect more than a few people in New Port Richey and other parts of the world.